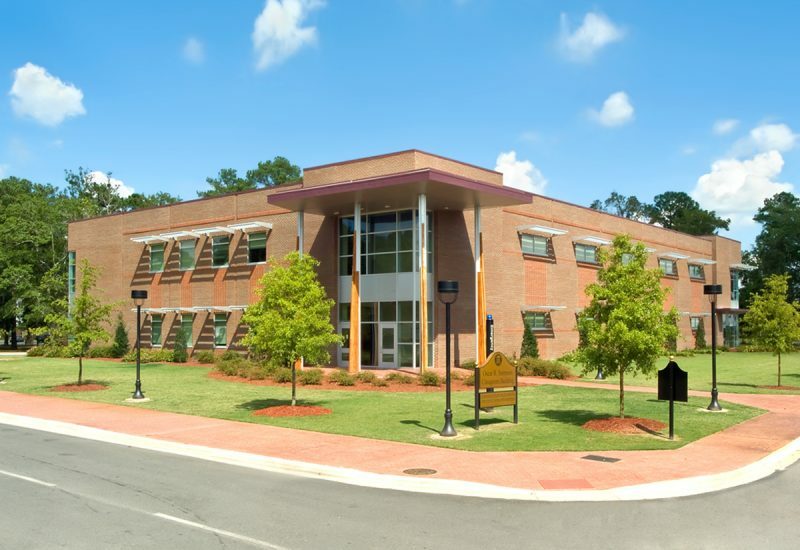 UNC Pembroke’s Oscar R. Sampson Building houses the departments of Psychology and Counseling as well as Criminal Justice and Sociology. 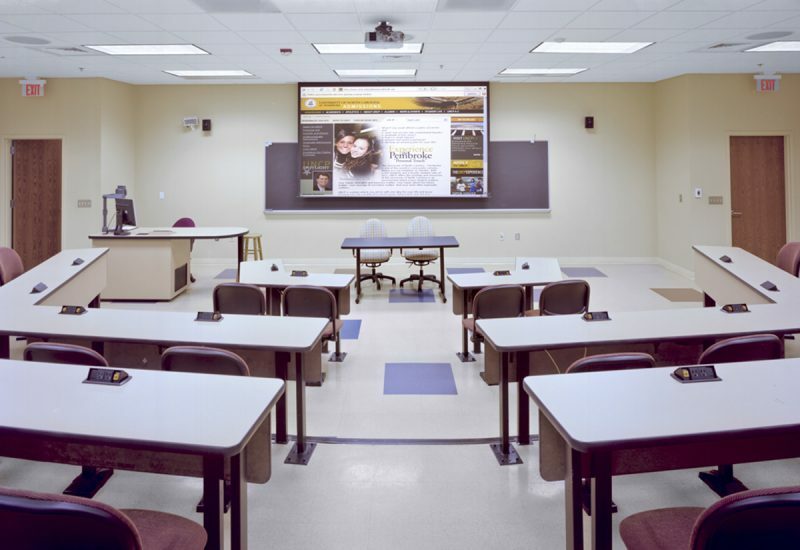 The 35,000-sf, two-story facility includes classroom, lecture, and laboratory facilities along with faculty office and administration spaces. 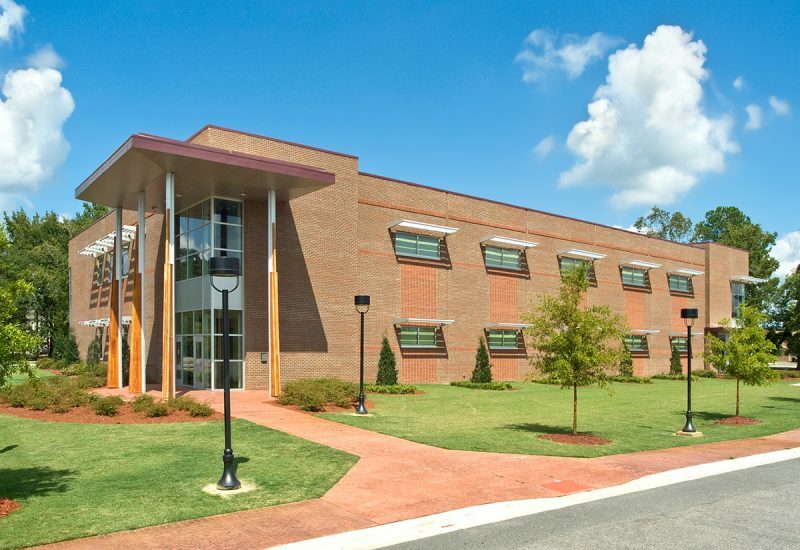 The building structure features a steel framework of girders, beams, and roof joists, with an exterior skin of brick veneer. Jenkins•Peer incorporated passive solar design strategies including the use of sun screens, fenestration placement, and building orientation. 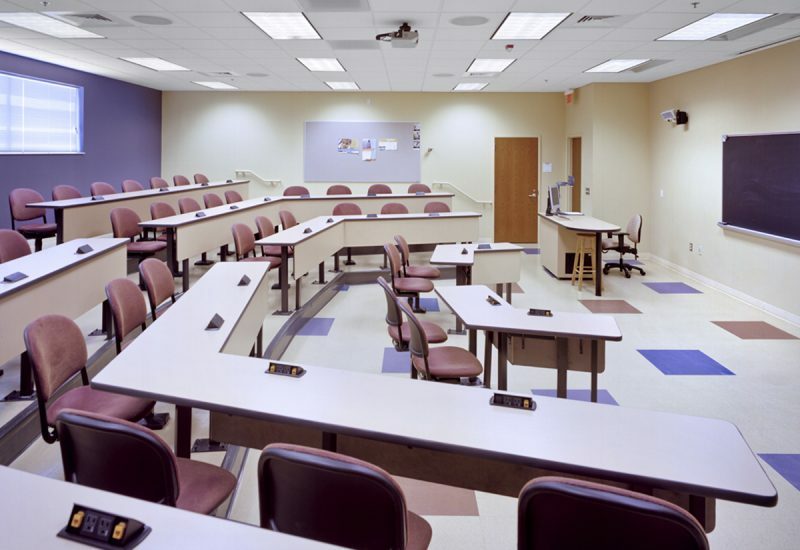 This energy-efficient design was achieved at no additional cost to the University.